View More In Beer Keg Refrigerator Replacement Parts. This A System coupler is designed to help you dispense most German beers (including Warsteiner, Hacker-Pschorr, Paulaner, and Spaten)! The durable nickel plating ensures long-lasting performance for your draft system setup, so you don't have to worry about the negative effects of an inferior quality product. Click here for a complete list of beers that can be dispensed with this coupler. Please note: Beck's and St. Pauli Girl both require a European Sankey (S System) coupler. In stock and ready to ship. Features: Works for most German beers. Click here for a complete list. 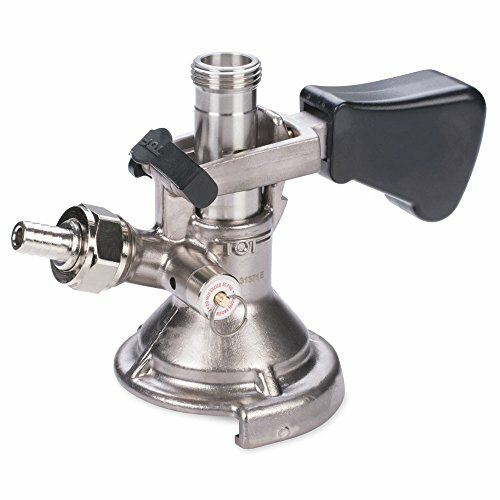 Durable hard nickel plating. . Specs: System: "A" type keg valve.